Indonesia’s largest airport and main international gateway is Jakarta International Airport outside of the capital city Jakarta. Travel in Indonesia is extremely cheap by international standards, usually on the order of $25 per day for a comfortable trip. Because more than 80% of Indonesia consists of warm, tropical waters, temperatures in Indonesia almost always stay between 21˚C and 27˚C (70-80˚F). However, the country does experience a wet season from November through March. Most travelers visit during the dry season during the other half of the year. Handmade trinkets, wooden masks and coffee are examples of stereotypical Indonesian souvenirs. The island nation of Indonesia occupies 17,508 islands in between Australia and mainland Southeast Asia. Despite its enormous population of 250 million people (the world’s fourth largest population), only about 920 of the islands are permanently inhabited. What’s more, the other half of the inhabited islands have yet to be explored or even named. Due in large part to its size and strategic location, Indonesia commands the world’s 16th largest economy. Unfortunately, the country suffers from a huge income gap, forcing many of its citizens into deep poverty. That said, the country is relatively stable and makes a great vacation destination for tourists, especially those interested in beaches and untouched tropical paradises. Anatomically modern humans are believed to have reached Indonesia approximately 45,000 years ago. What’s most remarkable about these early inhabitants, the Melanesians, is the mastery they had over shipbuilding and fishing, which far outpaced the technology available to other early human groups around the world. However, the majority of modern Indonesians are actually descendants of the Austronesian peoples, who didn’t reach the islands until 2000 BCE at the earliest. The Austronesians completely displaced the Melanesians, aided largely by advanced agricultural practices like terracing and wet-field rice cultivation. By 100 CE, the Austronesians had formed a number of villages, whom traded heavily with India and China. These traders also brought Hindu and Buddhist traditions with them, which played major roles in forming the Indonesian identity. Evidence of the role of these religions is most prominently seen in the spread of the Hindu Majapahit kingdom, which controlled much of Indonesia during the 1300s. However, Islam became the dominant religion in Indonesia by the mid 1500s. Around this time, Indonesia also began making regular contact with European explorers and colonialists. At first, the Portuguese and British took an interest in the area, but ultimately it was the Dutch who controlled Indonesia. Until 1800, the Dutch East India Company was placed in charge of the nation, but following their declaration of bankruptcy, Indonesia was passed to the Dutch government. During WWII, the Japanese occupied Indonesia, effectively ending Dutch control. Two days after Japan surrendered, Indonesia national hero Sukarno declared the nation independent. Sukarno’s tenure as president was marked by a gradual shift away from democracy and towards a centralized authoritarian government. A bloody 1965 coup saw the death of 500,000 people, but also led to the 1968 ascension of General Suharto to the presidency. Indonesia experienced massive growth during his rule, though he too operated in a highly centralized, authoritarian manner known as the New Order. When the Asian economy collapsed in the 1990s, Indonesia was hit particularly hard, prompting a reorganization of its government. In 2004, the country held its first directly presidential election. This seems have calmed the political tensions in Indonesia, and since then country has done a commendable job of growing its economy. Without a doubt, Bali is the centre point of Indonesian tourism. The island is constantly ranked as one of the best island destinations in the world due to its sheer diversity. 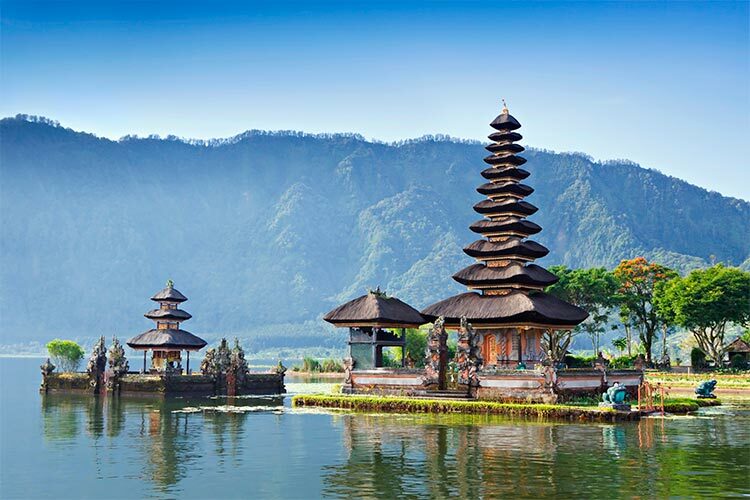 Bali features everything from beaches to mountains to dense forest to bustling cities. Bali is also home to numerous spiritually significant sites, being one of the few pockets of Hindu culture left in an otherwise Islamic nation. In fact, every village in Bali is required to maintain at least three Hindu temples. The Ulun Danu temple at Lake Bratan and Besakih at Mount Agung are two of the most popular temples. Mount Agung itself is also quite spectacular, especially during sunrise hikes. Bali also features a number of hot springs, such as the lovely Air Banjar near Lovina. 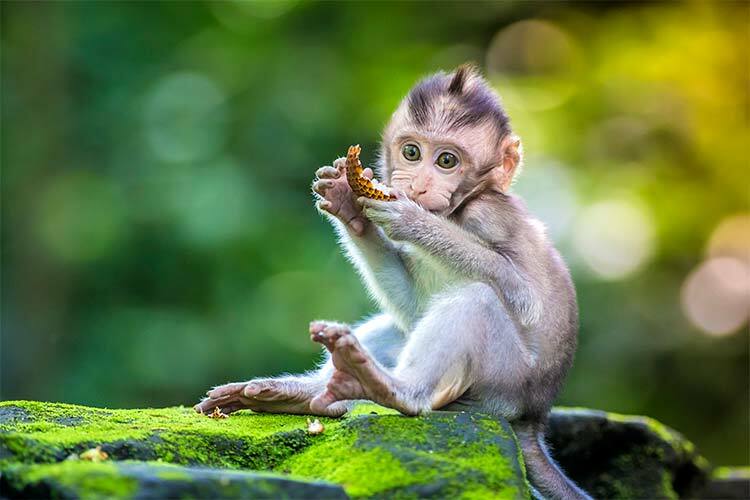 While some parts of Bali may be overrun with tourists, there’s a reason this island is consistently ranked as one of the most desirable travel destinations in the world. Get away from the beach resorts and upscale restaurants, and you can still find sacred landscapes populated by agreeable locals. 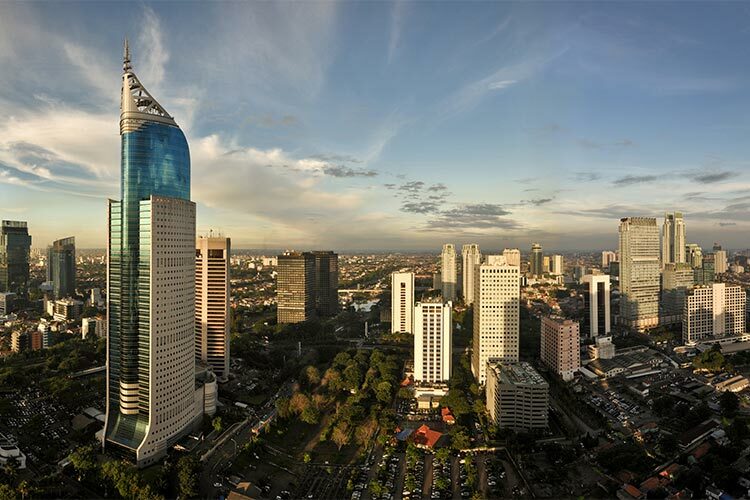 Jakarta is not only Indonesia’s largest city, but actually the largest in the entire region of Southeast Asia. If you’ve travelled in Southeast Asia, simply hearing that fact probably conjures images of heavy pollution and traffic. While this is definitely characteristic of life in Jakarta, the city has lots of charm. Monas is a large monument with an observation deck found downtown that symbolizes the city. As the country’s capital, Jakarta also features numerous governmental buildings, including the opulent Presidential Palace. The city also features pockets of preserved architecture from its colonial area, most notably near the old city of Kota Tua. This area also features numerous museums, parks and other tourist attractions. Jakarta is also known for its wild nightlife scene, and travelers should have no trouble finding packed clubs, bars and parties any night of the week. 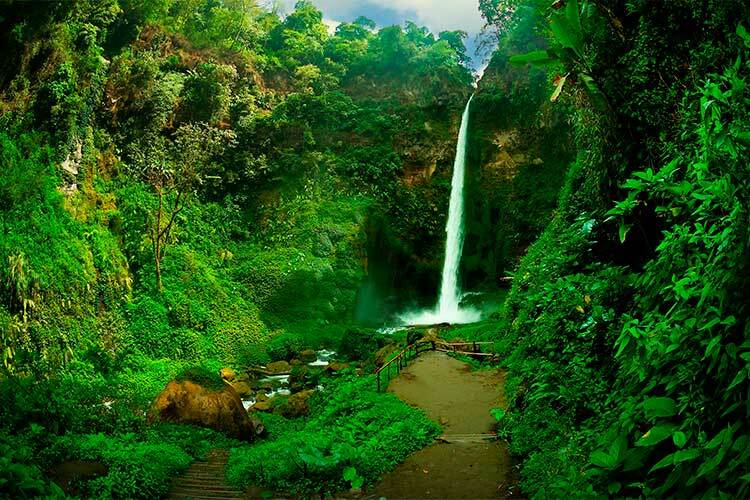 No travel guide about Indonesia would be complete without including at least one ecotourism destination. 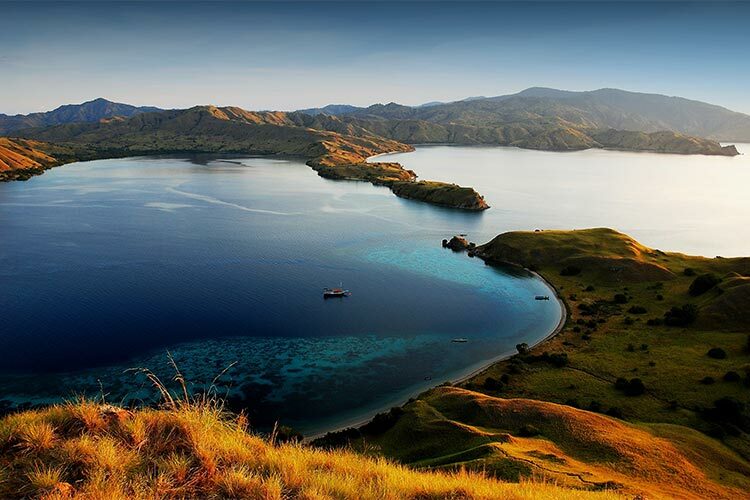 One of the most remote yet iconic natural destinations is Komodo Island, best accessed through the town of Labuan Bajo. This area is the only wild ecosystem which supports the world’s largest lizard, the Komodo Dragon. Interestingly, it’s said the dragons are actually better viewed from the adjacent Rinca Island, rather than Komodo itself. Both of these islands and a handful of others are a part of the lovely Komodo Island National Park. Besides the dragons, visitors could also expect to see a diverse number of flora and fauna, camp in a beachside bungalow or go diving through a colourful coral reef. 1) Padang is mostly known for its colonial era old town and harbour. However, the best part of Padang is the access it offers to nearby sites. For instance, the city is only 12 miles from the lovely Bungus Bay beach area. It’s also close to the Mentawi Islands (pictured below), one of the world’s best locations for surfing. 2) Explore Kota Tua in Jakarta, the city’s colonial era old town. Besides marvelling at its architecture, be sure to see some of the parks and museums in the area. Then, head to Monas, a large centralized monument important to Jakarta’s identity. At night, don’t be afraid to let loose and participate in the infamous Jakartan nightlife scene. 3) Surabaya, the second largest Indonesian city, shares the island of Java with Jakarta. While there, experience the G-Walk. This popular area features food carts, shopping stalls, performers and a number of bars. Another popular attraction is Grahadi, the residence of the Dutch Governor of East Java during the colonial days. 4) Besides relaxing on the beach at Bali, make sure to see some temples. Besakih Temple, found on the banks of Mount Agung, is probably the most iconic temple in Bali. 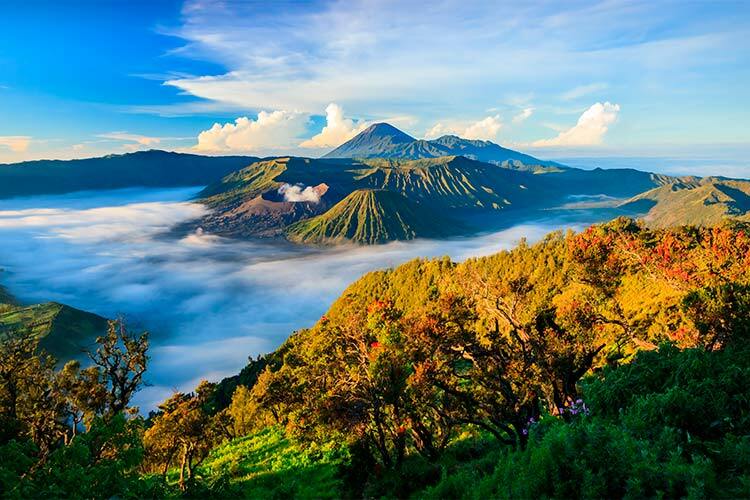 You could also hike the banks of Mount Batur, an active volcano which permanently smokes. Bali is also known for its hot springs, which can be found throughout the island. 5) Labuan Bajo is mostly used as an access point to Komodo Island National Park. Besides seeing the Komodo dragons themselves, take hikes through the lush interior of the islands, or go fishing out in the ocean. If you wish, tours can be organized that allowed travelers to spend a night on a tropical deserted island. 6) The coastal city of Makassar is the most populous on Sulawesi island. In the centre of the city is Losari Beach, a lovely area often populated with street food vendors and entertainers. Near the city sits an interesting Dutch fort called Fort Rotterdam. 7) Indonesia owns the southern half of the island of Borneo, called Kalamantan. This massive island is mostly known for its biodiversity and impenetrable jungle. As such, nature hikes and excursions are highly encouraged. Furthermore, be sure to see the famous floating market in Banjarmasin.